Among current U.S. adult smokers, 70% report that they want to stop smoking and millions try to quit every year. If you have attempted to quit smoking, you know how difficult it can be. Nicotine is a powerful addiction. In fact, research suggests that nicotine is as addictive as heroin, cocaine, or alcohol. Acupuncture as an alternative approach to smoking cessation has a growing number of converts. In fact, acupuncture is often a court-mandated treatment for drug addicts because of its ability to reduce cravings and alleviate withdrawal symptoms such as irritability, anxiety and difficulty concentrating. Many people want to quit because of the enormous expense of their cigarette habit or are just plain tired of being dependent on a substance. There is also considerable social pressure not to smoke especially here in central Texas. If you are ready to quit, call us at 512.338-8810 and let acupuncture empower you to take control and begin a healthy and smoke-free life. 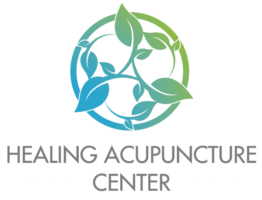 To learn more about how acupuncture can improve the quality of your life, please call The Healing Acupuncture Center at (512) 338-8810 or email us with your questions.